As the creators of this wonderful magnum opus Dreams Of Diamonds we are delighted to get the opportunity - along with our writer James - to present a copy of this book to Blackburn College University Library. The town of Blackburn, in the County of Lancashire, in the United Kingdom holds a very special place in all our hearts. James and I (Christine) both originate from Blackburn. As young ‘teenagers’ in the early 1970’s we attended the Art School at Blackburn College, as it was known then, long before it received University status. In those days there were no BA Degree Courses in Art or Design, that was still a long way off in the future. We completed our foundation courses at Blackburn, then went our separate ways to different universities to finish our education and then out into the big, wide world to begin our careers. However, despite often being at opposite ends of the globe we always stayed in touch and have remained lifelong friends. 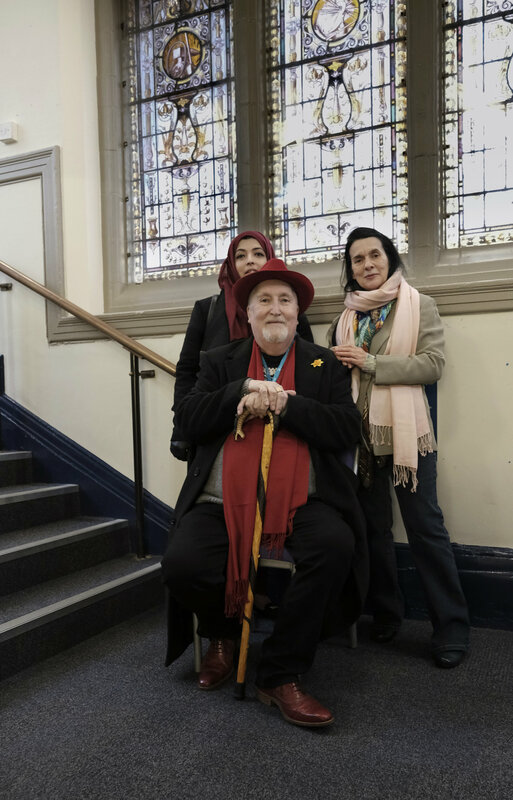 We have very fond memories of our time at Blackburn College, it helped shape and give perspective to our lives. These were splendid times, producing lots of adventurous and creative work and having fun! James in particular has - with the help of the internet - remained in contact with many former students from those days. As my partner and co-founder of The House Of Laidlaw Marsden, Alastair has been visiting Blackburn for 38 years and like James and myself he’s also collected many wonderful memories. It was particularly poignant for James and I - after our presentation - to be invited to visit our old art rooms on the top floor of the original college, to see how much had changed whilst also acknowledging with a certain triumph those things that hadn’t changed. We then had a lot of fun getting lost in the new corridors! It was fascinating to see the working environment of the third year BA (Hons) Fine Art students and be allowed to view their work and get an insight to how the course was run. There was a tremendous feeling of affability and camaraderie, which is a productive and positive way to view art and expression. Taking everything into consideration it feels only right and fitting that the college which helped prepare us for our journeys into life should receive this beautiful gift which without doubt is one of the finest achievements of our lives. Our great satisfaction would be for Dreams Of Diamonds to help and inspire members from this generation of young students to go forward and achieve their hopes and dreams as we did ours. We are all very proud of our heritage and send heartfelt thanks to everyone who helped play a part in it. 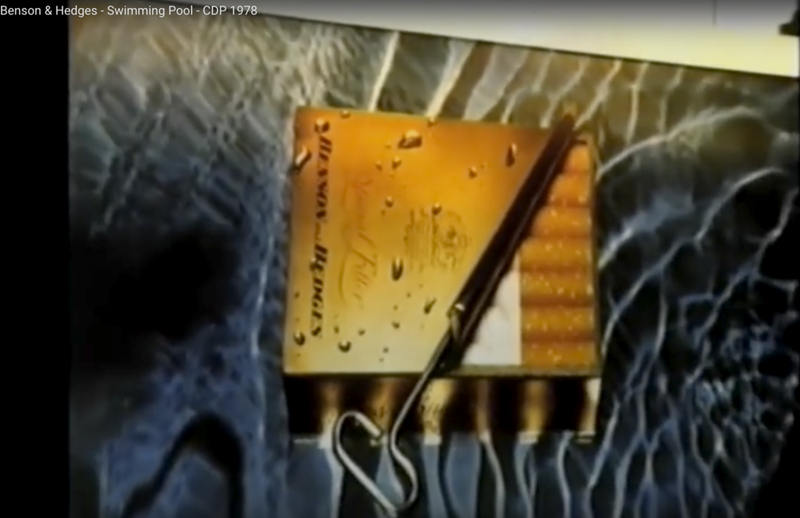 In 1978 the advertising agency CDP (Collett Dickenson & Pearce) launched what is often regarded as one of the most - if not the most - iconic (poster) advertisements ever, The Benson & Hedges Pyramid Ad. This became the pinnacle of one of the most famous advertising campaigns of all time. 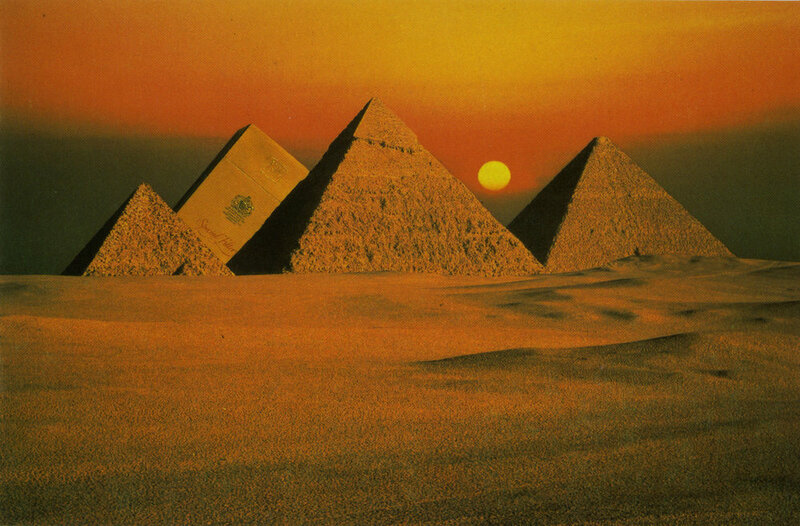 The ad was shot the previous year (November 1977) on location at Giza, Egypt. The amazing Neil Godfrey was the creator/ art director and dear Jimmy Wormser (now deceased) was the photographer. I (Alastair Laidlaw) was honoured to be the assistant photographer on the shoot. As a young man starting out on my career it was a truly incredible experience which I was and still am very proud to have been part of. Throughout my time with Jimmy I was privileged to assist him on 4 amazing B&H Ads from this campaign. I had the opportunity to meet and work with some of the greatest advertising art directors and copywriters the industry has seen. Today the attitude to smoking is very different from what it was back in the 70’s. Rightly so, the dangers are now very clearly documented. There is no question that smoking can seriously damage your health. These days help and advice (often sophisticated) are readily available for all. In the 70’s the knowledge surrounding smoking was there, but it did not seem to carry the same significance as it does today. Obviously, this is a personal observation, others may feel differently. It’s also strangely ironic when one looks back and realises some of the most visually outstanding Ad Campaigns of that era, were for cigarettes. The images shown in this article have all been credited, including the hitherto unseen B&H ’Kites’ Ad. Although this never ran, it remains one of my favourites. Personally I thought the idea was striking, it looked like a two dimensional painting rather than a photographic ad. Back in the 70’s photoshop was a thing of the future. Many of the ads were created by collage and finished with hand retouching. It was a highly skilled and lengthy procedure - in the case of the ‘Kites’ each one was shot individually then literally cut and pasted into the collage and then inserted into the ‘dye transfer’ finished artwork. There are many wonderful stories from that period in advertising photography and looking back I can say I’m delighted to have played a small part in it. I’m also equally delighted to be able to embrace the new wonders of technology which have changed my profession beyond recognition. I sing the praises of both worlds and hope I can do so for many years to come and to everyone who helped play a part in either, thank you. A WONDERFUL VISIT Saturday 14th September. Having recently seen many splendid images and read stories relating to the new V&A Dundee, Scotland’s first Design Museum and taking the excellent advice of Nicholas (Coleridge) we jumped in the car and drove the 3 hour journey down form the Highlands to Dundee, to visit the museum on its opening weekend. Although smaller in size than we imagined from the photographs we’d viewed, it’s an amazing design. Perfect for the location (built on reclaimed land) and blending in beautifully on the Esplanade on the banks of The Forth of Tay. The inside is voluminous! When you enter you can stand on the ground floor and look straight up to the ceiling. We were served delicious food from the cafe, by very friendly staff. 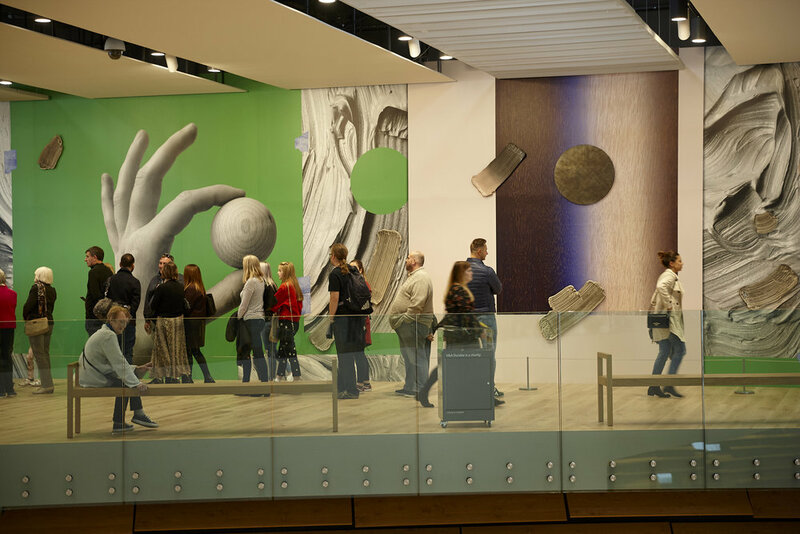 All the staff we encountered throughout the museum were extremely friendly and helpful. Because we’d made a ‘spare of the moment’ decision to visit we hadn’t booked to see the main exhibition Ocean Liners Speed & Style and as it was very busy we decided to focus on the rest of the museum (we’ll save Ocean Liners for a return visit). However, the people who we spoke to who had seen the exhibition all though it was fantastic! The exhibitions on display in The Scottish Design Galleries within the museum were very good. 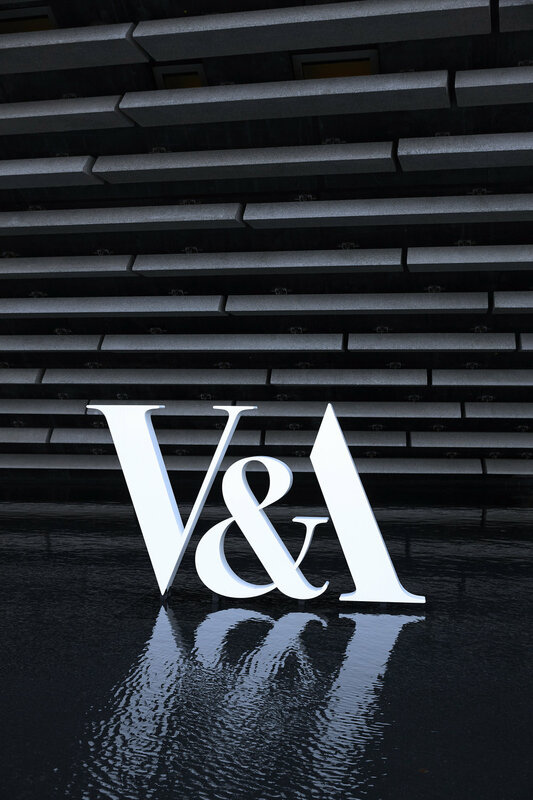 These galleries have been designed in a similar style/layout to the fabulous V&A McQueen Exhibition ‘Savage Beauty’ 2015. Our favourite display was the giant, stage set book ’The Cheviot, the Stag and the Black, Black Oil’ created by the artist John Byrne, a friend and former neighbour. We spent a reasonable time going round these galleries to get a proper feeling for the exhibition and what it represented. We then had a quick celebration drink in The Tatha Bar on the first level, before taking more photos. 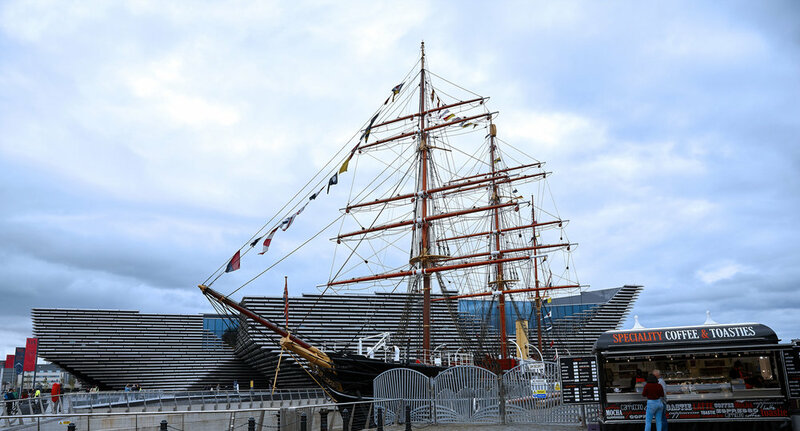 There are many excellent features to recommend the V&A Dundee. 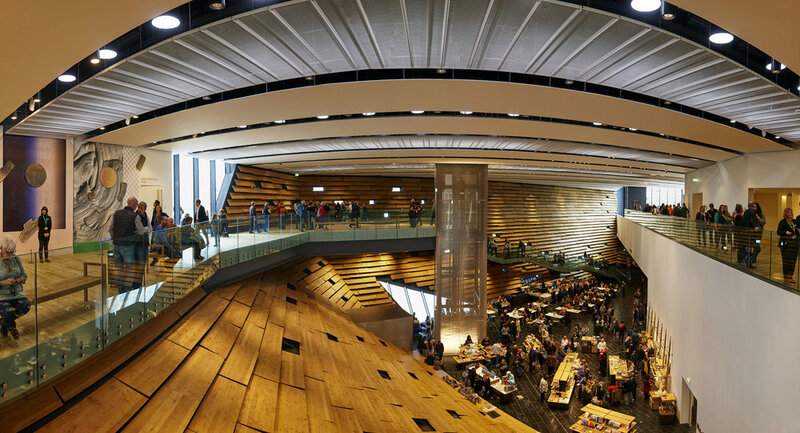 But without doubt one of the most striking features is the building itself, with its stunning design from both the outside and inside, including the impressive viewing terraces: The Observatory, Exhibition and Cafe terraces. 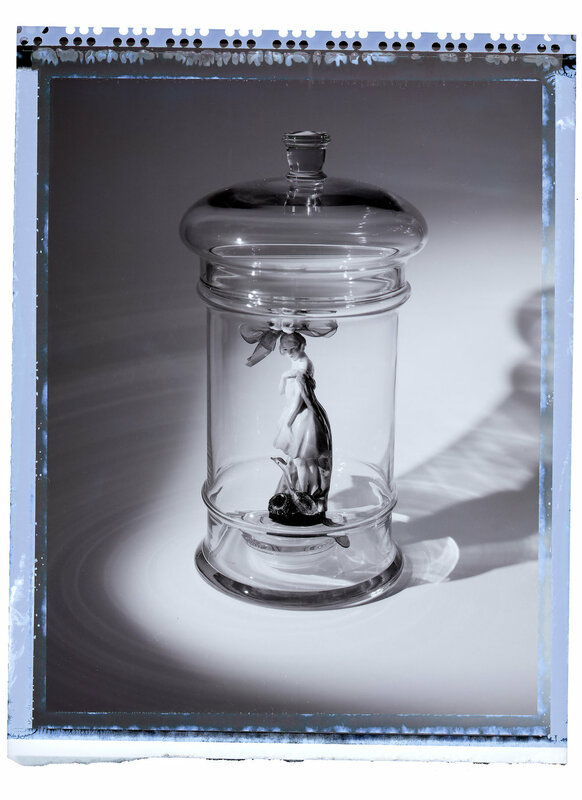 1/ Part of McQueen’s ‘Savage Beauty’ Exhibition, ‘Widows of Culloden’ is one of the exhibits and although it’s ingeniously displayed, it is however very difficult to view - we tried several angles, with no success. It’s also worth noting we weren’t the only people to comment on this. 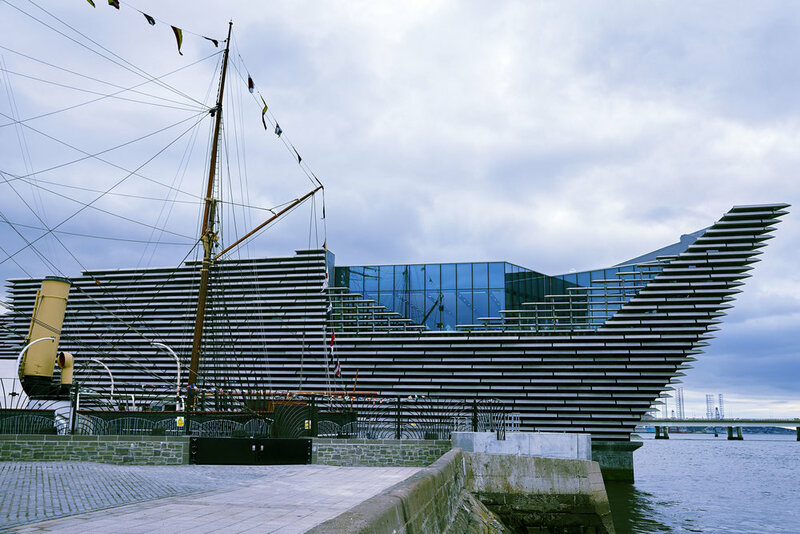 2/ The V&A Dundee needs more exhibits. In our opinion ( again we heard this observation voiced numerous times by other visitors ) there just isn’t enough. Despite the fact there is space to exhibit more. We shall see………. Taking everything into account, we had a splendid time and will definitely visit again. It’s that time of the year, Summer is on the wane and Autumn is almost upon us, or depending which seasonal date you adhere to - 1st September being the ‘Metrological’ start of Autumn and 21st September being the Equinoctial start of Autumn - we could already be in the third season of the year. It’s fruit picking time! 2018 has averaged across the UK as the hottest Summer on record, followed by lots of rain and then further sunshine. This means the wild fruits of the hedgerows and old abandoned orchards, have flounced early this year. In The Highlands we tend to follow the rest of the UK when it comes to the seasons which means we’ve now having a spectacular crop of wild Blackberries, after having an equally spectacular crop of wild Raspberries in July. A few days ago I had a wonderful conversation with one of our dearest friends Tim (Timbo) Rennie. Tim, lives in a cosy little cottage in sunny Surbiton and he mentioned his partner Claude had gone out earlier in the week to pick Blackberries only to discover the birds had eaten all of them! I commiserated deeply with him and promised I’d try and make a few pots of Blackberry Jam to give to Claude the next time we see him. This will be a very interesting experience, I’ve never made jam before, but that old expression nothing ventured, nothing gained. This year in the Highlands, particularly in the Great Glen, we’ve had an enormous abundance of wild berries of all kinds from Raspberries and Blackberries, to Rose Hips and even strawberries. 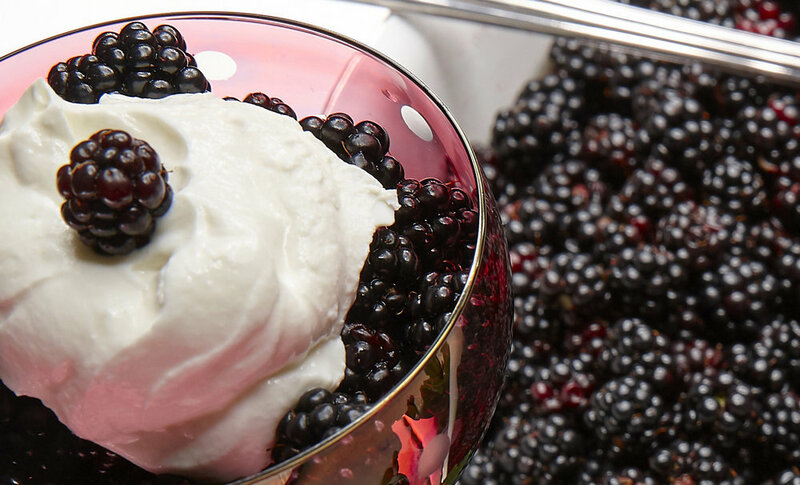 Wild Blackberries and yogurt, with acorn decorations. The acorns were blown down from our oak tree during the storms, a few days earlier. There is something so satisfying about spending a couple of hours picking wild fruits, perhaps it’s the fact that you’re going to the effort of picking them yourself, but they always seem to taste more delicious and they’re free. This is especially true of Raspberries, which are much smaller than the ones purchased in supermarkets and have the sweetest taste. For Alastair and I there is nothing more relaxing than a bowl of hand picked, wild Scottish Raspberries with a helping of cream, eaten on a beautiful hot Summer’s afternoon in the garden with a chilled glass of wine watching the wildlife. NB/ Remember the midgets don’t like hot weather, so you’re quite safe until the evening if you wish to partake in this splendid pastime. The first of many forays into this years Blackberry picking took place last Saturday 8th Sept. I was absolutely spoilt for choice, there were so many berries to choose from I even started quality control - which meant I did tastings at every bush I came to. However, whilst this was really yummy it did rather slow things down and on several occasions Alastair gave up and wandered off to take pictures. After eating a considerable amount of berries and deciding they all tasted very good, I resisted the quality control and focused on picking them. It’s amazing how quickly time flies when you’re actively involved in something you love doing. My first Blackberry pick of the year has been very successful, hopefully I’ll be able to pop out again in a few days time for another forage. During this trip I also helped a little beetle get safely across the road. Personally, Alastair and I are very fond of beetles, we think of them as nature’s little friends, the shimmering gloss of their shells is beautiful and as insects go they’re really quite cool. I then came across two weird, but amazing looking mushrooms. On Sunday 2nd Sept 2018 we decided to pay a visit to Ely Cathedral on our way back from Cambridge to Lancashire. It was a spontaneous decision. It’s over 10 years since we last visited Ely so we took this opportunity to refresh our memories of this magnificent Cathedral. Highly regarded throughout the world by historians, architects and many- if not all - of the tens of thousands of visitors each year, the Cathedral is renowned for its beauty and size and is widely acknowledged as ‘one of the wonders of the Medieval world’. Visibly on the horizon for many miles in every direction, it is often referred to as ‘The Ship of the Fens’. 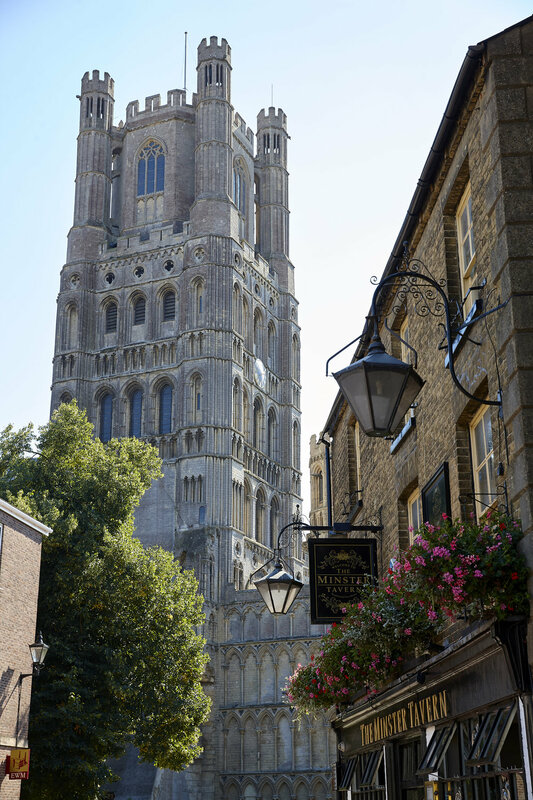 Ely’s history dates back to 673 when the Saxon Princess Etheldreda founded a double monastery for men and women on the site. This was destroyed by the Danes in 870, but later re-founded as a benedictine Community in 970. The earliest work began on the present building around 1080 under Abbot Simeon and it became a cathedral in 1109. Despite the fact that Henry Vlll closed the monastery in 1539, it has continued to exist as a cathedral. This visit did not disappoint. Ely Cathedral is awesome, a true phenomenon to be marvelled at. It’s difficult to take everything in on just one visit as there is so much to see and experience. As well as being a place of worship the Cathedral is also a cultural focal point for East Anglia, providing a splendid venue for exhibitions, concerts and theatre. As mentioned, our visit was a ‘spare of the moment’ decision so we had no idea what - if any - events would be showing. However, as we approached the Cathedral we noticed a fabulous bronze sculpture located on Cross Green. We immediately recognised it as ILLUSION by Helaine Blumenfeld, one of our all time favourite sculptors. In our wilder daydreaming moments, we’ve often fantasied about owning a Blumenfeld - very much a ‘dream on’ scenario. As we entered the cathedral directly in front of us in the nave, ablaze in golden light was another beautiful, bronze sculpture MERIDANA. We were delighted to learn that the cathedral is currently showing an impressive exhibition of Heliane Blumenfeld’s work - TREE OF LIFE . The exhibition consists of 18 sculptures, dramatically positioned around the cathedral, with two of the largest pieces - ILLUSION and TREE OF LIFE: TRANSFORMATION - placed in the grounds. The TREE OF LIFE is an important and enduring theme throughout Helaine Blumenfeld’s work and this exhibition could not have asked for a better venue. With pieces positioned in between the recesses of the Norman Columns, bathed in sensitive mood lighting for the marbles and dazzling fire light for the bronzes, the effect is fabulous. As you enter the Lady Chapel - the largest of it kind in England - the feeling is one of light and space. Five pieces are exhibited here including the beautiful EXODUX II in white marble, but without doubt the dominant sculpture is ANGELS HARMONY created in 2011. For us this was not only the main piece in the Lady Chapel, it was the most outstanding sculpture in the exhibition. Having previously only seen photographs of it, seeing it for real was an amazing, thought provoking experience. We’re particularly drawn to this piece because of the many interpretations you can explore and visualise within it. Although it’s titled ANGELS HARMONY depending on how the sculpture is light it could equally be titled Demons Harmony and the many different angles it can be viewed from further increases the possibilities for multi interpretation - as seen in our images. Obviously these observations reflect our personal feelings, others may think differently. We had a wonderful time and enjoyed every minute of our visit. The weather was stunning, so we were able to wander around the cathedral grounds at our leisure. Ely Cathedral has much too offer any visitor as well as the exhibition - which runs until 28th October 2018. For anybody wishing to visit, please enjoy…….